We’re here to help find the right flooring for you! Let us take the risk out of the process of improving your home. From selection to purchase to a successful installation by one of our in-house installation teams, we ensure quality and satisfaction. 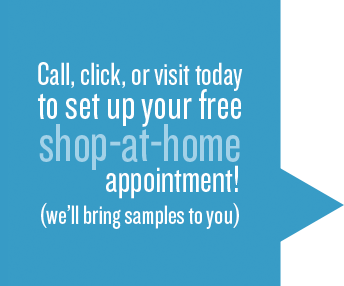 Call or click to set up a free no obligation shop-at-home appointment with one of our design consultants today, or visit our beautiful showroom in historic downtown Florissant. Classic Carpet & Flooring has served Saint Louis for more than 30 years. Ask us about our shop-at-home service to find the perfect carpet, hardwood or other flooring option for your home decor. As a family-owned company, we pride ourselves on our commitment to quality, in our wide selection of flooring options, and in our customer service.